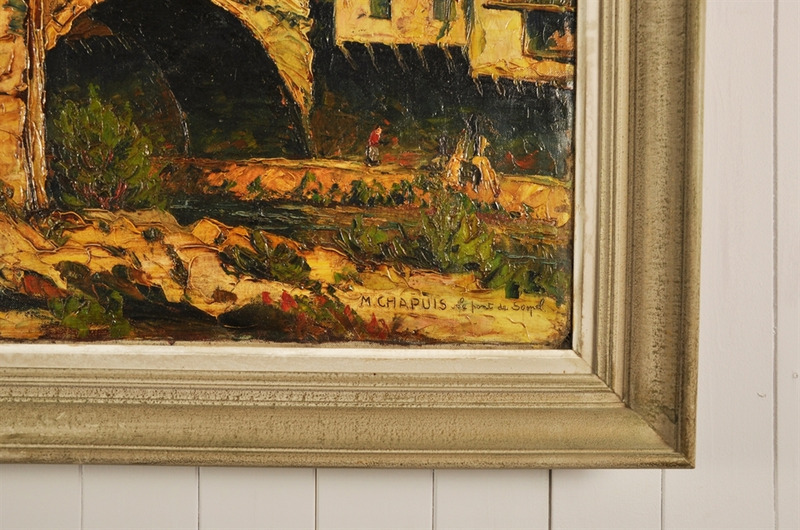 Signed M.CHAPUIS le point de Sospel. 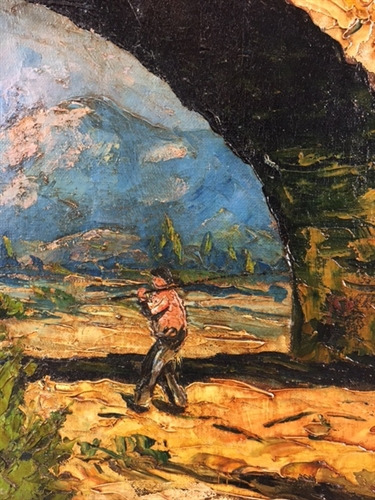 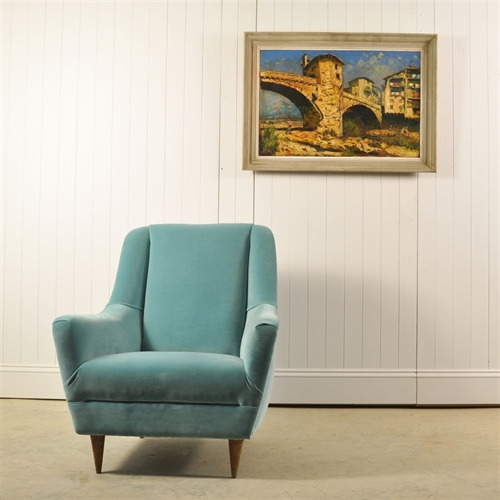 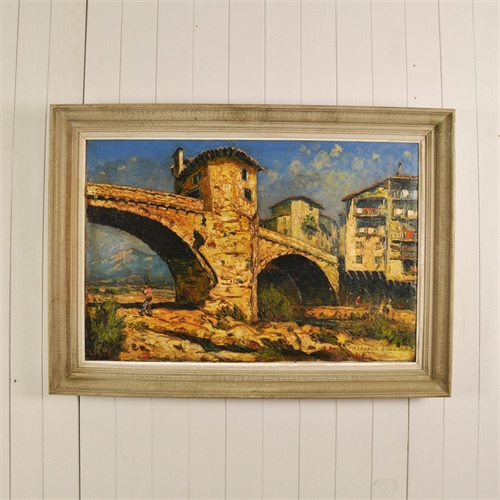 We believe this painting to be early 20 th Century. 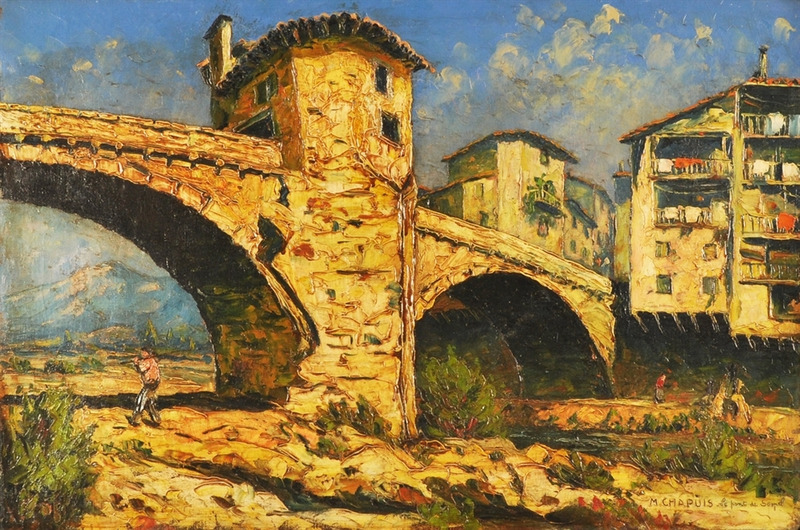 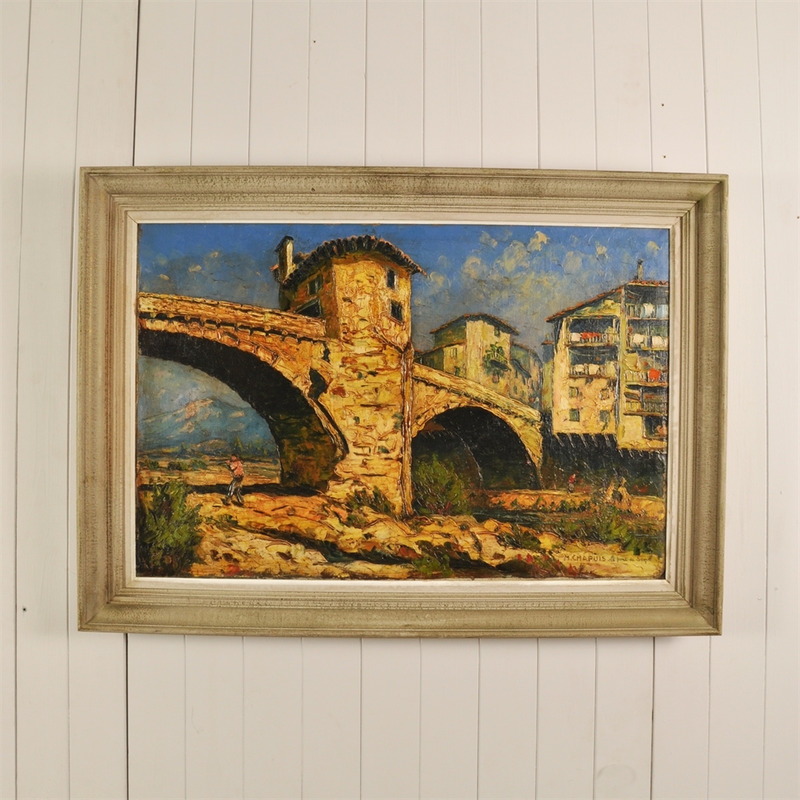 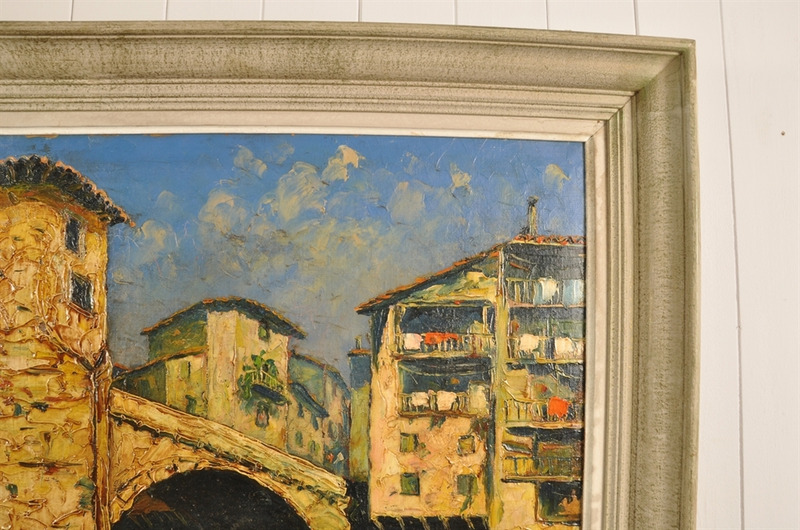 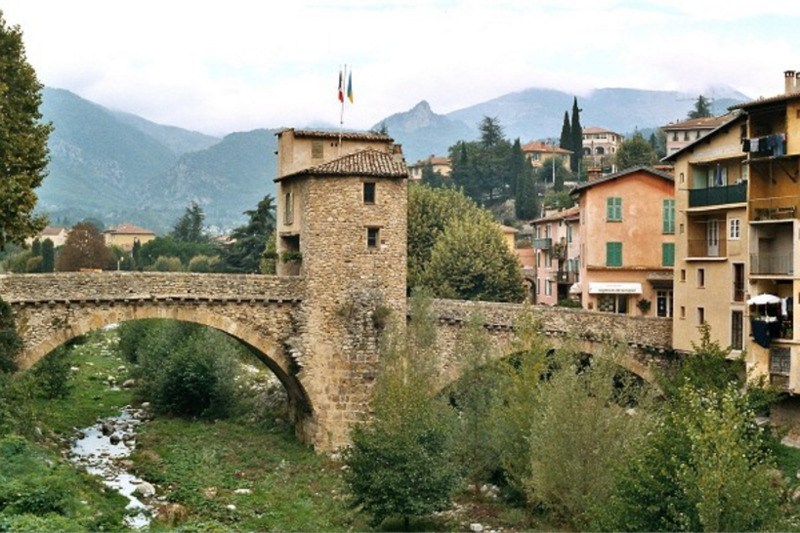 The scene painted is of the old bridge at Sospel, which is in the Alpes-Maritimes region of South East France on the boarder with Italy. 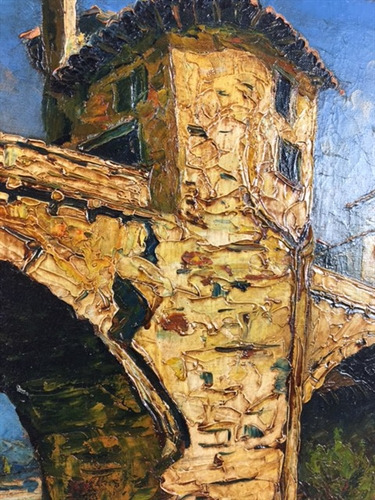 Painted with really thick oils giving masses of texture - all in all the painting is in good condition with a small amount of crackling to the paint. The frame is later. 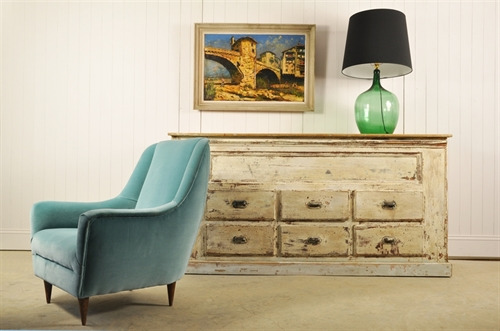 68 cm h x 95 w.
To view other items pictured click - sideboard / lamp / chair.